Recover Brands is a North Carolina based sustainable apparel company that manufactures environmentally friendly and socially responsible apparel and accessories out of 100% recycled materials. Not only are Recover products eco-friendly, they are also extremely soft, comfortable, durable and stylish. We’re excited to introduce Recover race shirts and merchandise for this year’s Blue Ridge Relay. Each runner will receive the 2018 official long sleeve Recover Blue Ridge Relay shirt. Enterprise is in it’s 8th year as our Van Rental Sponsor, extending a very generous discount to BRR teams/runners for their BRR van rental needs. Mellow Mushroom, Asheville is at again…offering a 15% discount to all runners who present their BRR race bib during their post-BRR celebration dinner. After 200+ mile of granola bars, bananas, peanut butter and sports drinks…you need to treat yourself and enjoy the hospitality of Mellow Mushroom, Asheville (just 3 blocks from the Finish). Based in West Jefferson (near EZ6), Schuster Physical Therapy was voted BEST PHYSICAL THERAPIST in the 2016 BLUE RIDGE OUTDOORS MAGAZINE. Our good friends at Schuster PT are well connected to and have long been a part of the BRR family, frequently serving as one of your BRR Start line hosts, announcer and Relay starter…and we can’t forget as a past BRR runner. It is always a pleasure. A 14 year supporter and advocate for the Blue Ridge Relay, and the center hub of Asheville’s running community. Boone’s only dedicated running store is located a convenient 5 miles from EZ12 and only 1.5 miles from the team vans’ driving route. One of the most scenic State Parks in the Southeast and the USA, Grayson Highlands State Park and the very gracious staff of Park Rangers has served as host of the Blue Ridge Relay Start Line since 2005 (year 1). If this is your first or twelth visit to the park, you are in for a treat. Mountain balds, cool temperatures, wild ponies, and big views are the norm. Previous sightings included buck in velvet, black bear cubs, and so much more. Grayson Highlands State Park continues to be the epic Start to an epic run. After over 200 miles of racing through the small towns and rural roads of north-western NC and south-west VA, runners/teams know they are in the final 1/2 mile home-stretch as they enter the city streets of Asheville. 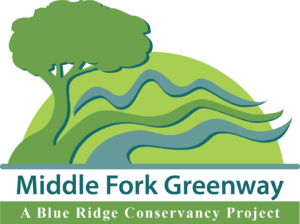 BRR is grateful for 14 years of finishing in this high-energy city of Western NC. USATF focus goes well beyond elite world and Olympic class athletes. 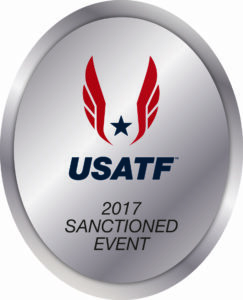 Their support on the local running scene can’t be touched and BRR is grateful for the continual partnership and sanctioning by USATF.